Claimed shortfall in monies from car parking to blame. 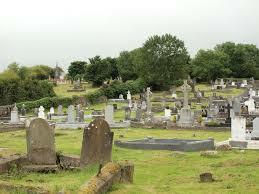 There are no funds to maintain a Ballina cemetary owing to a shortfall in car parking charges. This year, however, a €20,000 annual maintenance fund has not been provided to date. CEO of the County Council Peter Hynes has said the money is ‘on hold’ owing to a €400,000 deficit in the authority’s revenue intended to be made up through car parking charges planned for in the 2018 budget. It’s now feared that in the absence of maintenance works, the cemetary will again become a wilderness of overgrown grass and briars.